It's been a busy weekend, huh? I don't mean for this to sound crappy, because obviously I really, really, really like X-Wing Miniatures, but Star Wars Armada is kinda the game a lot of us have been holding our breath for. Don't get me wrong- I don't plan on giving up on X-Wing or anything, but when I mentioned before, waaaay back in high school and shortly thereafter, that game that BC and I were working on? Of course it had capital ships. I mean, it's one thing to be Han or Luke, it's whole other thing to be Ackbar, you know what I'm sayin'? 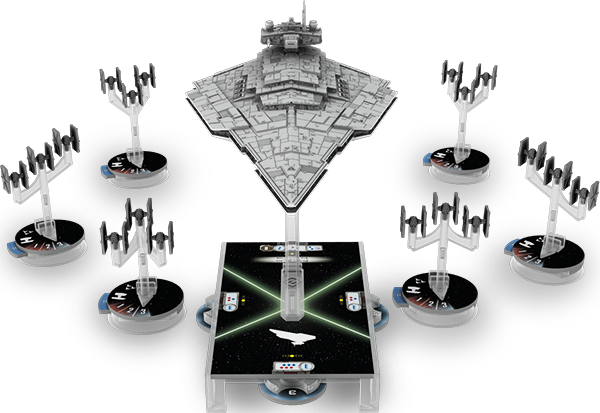 So two years(-ish) after X-Wing drops, now comes Armada. As you've no doubt heard, read, or figured out, Armada is like fleet level engagements as opposed to squadron level dogfights. The reveal article actually talks a whole lot about the game mechanics and stuff, so I highly suggest you read it when you have a few minutes to take it all in, but I'll hit some highpoints below if you don't have time. So the box comes with three Cap ships- a Victory class Star Destroyer and a couple of smaller Rebel ships- a CR90 and a Nebulon B. All of these are pre-painted. Also included along with the usual ton of counters, cards, and whatnots are the squadrons of TIE Fighters and X-Wings which are not painted, but are "presented in colors to compliment their fleets." 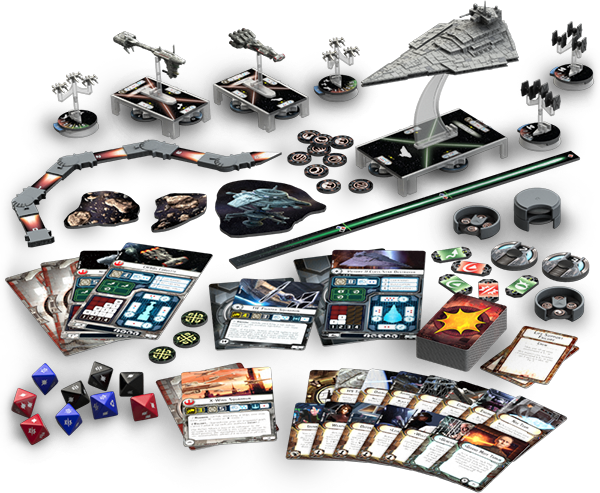 It's kinda hard to get a concrete idea of how big any of this stuff is as we don't really know anything we can use as a reference, but assuming the dice are the same sized as the dice in X-Wing, the image below should give you an idea. Again, put as much stock in that as you want, but I think you can see why FFG opted to not pre-paint the fighter squadrons. As for the game itself, it definitely seems more complicated than X-Wing, but I don't say that in a negative way- truth be told, it should be more complicated than X-Wing. FFG explains it all, but there's an initative system, there is a Commands mechanic that's sorta like a marriage of the secret Choose Maneuver and Perform Action step, and while there aren't static templates like we're used to in X-Wing, there is template based movement to represent the relative maneuverability of the ships. I'm like really boiling it down here, but basically, your ship's card has some tick marks on it that tell you how many units you can move the template at what speed. Like, check out the image above- see the little arrowhead at the joints and the tick marks after it? The graph deal reads kinda weird, but as I understand it, you choose the speed you want to go, which is represented by the numbers across the bottom, then starting with the number you chose, you read up and that's how many clicks (tick marks) you can change the template and in what sections of the movement template deal. So the CR90 card there on the left has four possible speeds, 1-4. If say, we chose to do a Speed 3, we can't change any clicks at the first joint, but we can change the template one click at the second joint, and two clicks at the third joint. If we had decided to go Speed 2, we could change the first joint one click, and the second joint two clicks, and so on. The Star Destroyer is obviously less maneuverable, so not only can it only choose between Speed 1 and Speed 2, it only can modify it's template a single click in the closest joint at Speed 1, but if it's going Speed 2, it cannot change the first joint, but can change the second joint a single click. So judging by this image, changing a click is a "may" not a "must" kind of thing, dig? After the Command and Ship phases, we come to the squadron phase where the X-Wings and TIEs can mix it up, then everything wraps in the Status Phase and if it stopped right there, I'd probably still be on board with this game, but the article then goes on to mention that this game isn't just caps pounding each other for the fun of it- oh no. There's Objectives to be won! Before the game starts, you and your opponent choose an Objective which apparently not only changes the setup and stuff, but also gives you some special rules and in some cases winning conditions. Past that, there's not a lot of intel about the game other than what's given, but it does allude to fleet building though it doesn't really say if there's going to be a points system or a GW style Force Org Chart or just what. They also don't mention Expansions or booster packs or whatever you want to call them, but the last pic in the article has an ISD with a total of six TIE Fighter squadrons. You'll note the contents shot only includes two squadrons of TIEs. You'll also notice that the MSRP on this monster is a cool hundy in US dollars, so I doubt we'll be having those "How many core sets do I buy? ", discussions this time around. At least I sure hope we don't. One of the reasons I got out of 40k was the high cost of living- having two little kiddos running around ain't cheap as many of y'all know and the relatively low buy-in of X-Wing is/ was one of the most attractive aspects of the game for a lot of folks and is maybe the only thing that could possibly shoot Armada in the foot at this point. 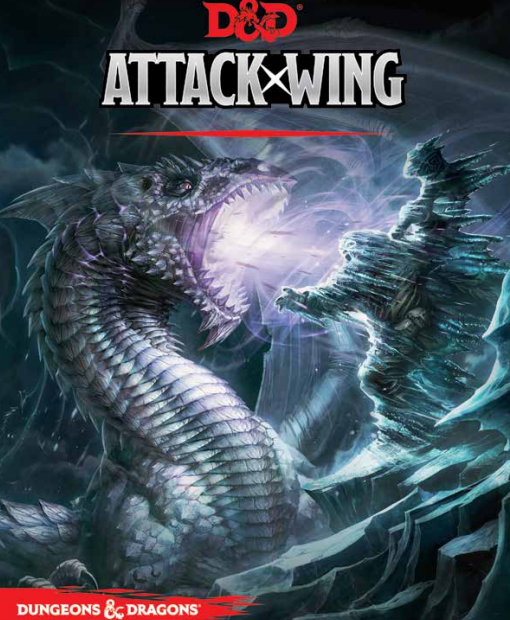 While I was never really all that interested in the Star Trek version (ain't hatin'- it's just not my bag) of the Flight Path, I gotta admit, there's a dorky middle-schooler inside of me that's kinda stoked about Dungeons and Dragons Attack Wing. 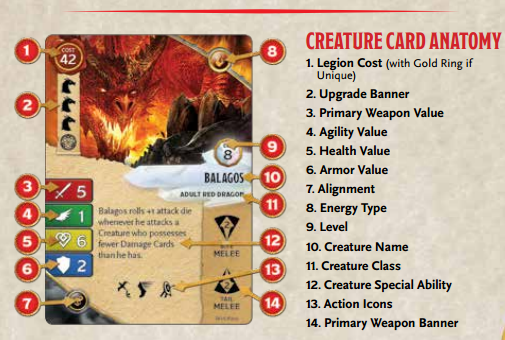 Up to this point, we've gotten very little actual information about it, but over the weekend, BC reported to me via G+ that WizKids had posted the rules for it on their website. 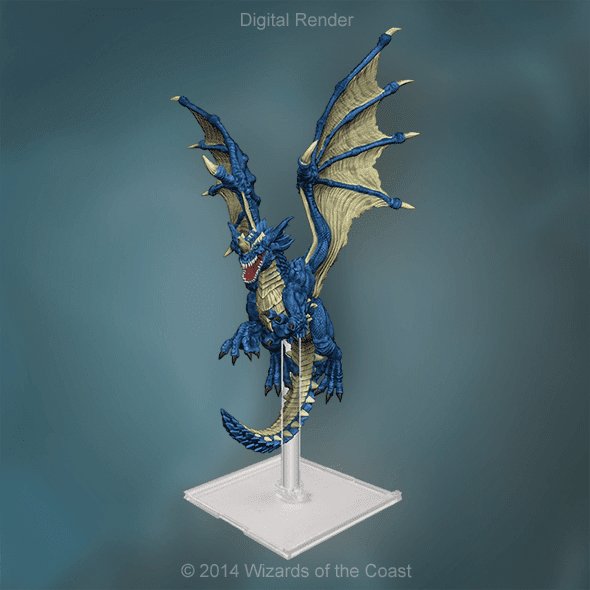 Aside from the rules, there's still not a ton of info regarding this game, which kinda makes you wonder when exactly it's going to actually be released, but there's a kind of surprisingly well-developed Organized Play section and some renders of what the dragon models in the core set will look like. Going through the PDF, it would appear that there's a quick-start rulebook and a full-on rulebook, which is what the PDF is. Right off the bat, they mention that there are rules for customizing your "legion" and playing campaigns, so Expansions or boosters or whatever you want to call it are definitely in the cards. The stuff that comes in the starter box seems pretty similar to the stuff you got in your X-Wing Miniatures starter, but with some small differences- for example, there are still Straight, Turn, and Bank templates, but it seems there are more of each in Attack Wing. There are Armor Tokens instead of Shield Tokens, there are maneuver dials, there are Action tokens, and Crits, red Attack dice, Green Agility dice, a Damage Deck, and so on. 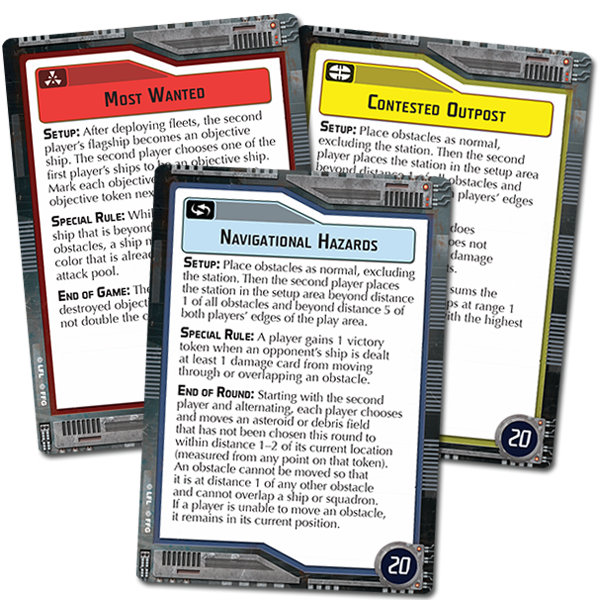 There are a few new ones too- Pivot tokens, Effect Tokens, Duration counters, Exhaustion tokens, but it really seems if you've got a good handle on X-Wing, you can very likely pick this game up and play it with very little rulebook face time. I'm not saying that's a bad thing, mind you. Again- there's tons of us who obviously enjoy the Flight Path ruleset, and probably at least a few of us find the similarity between X-Wing Miniatures and Dungeons and Dragons Attack Wing comforting if not attractive, but at some point, you have to wonder if the two games are too close to being the same thing for people to buy both, y'know? 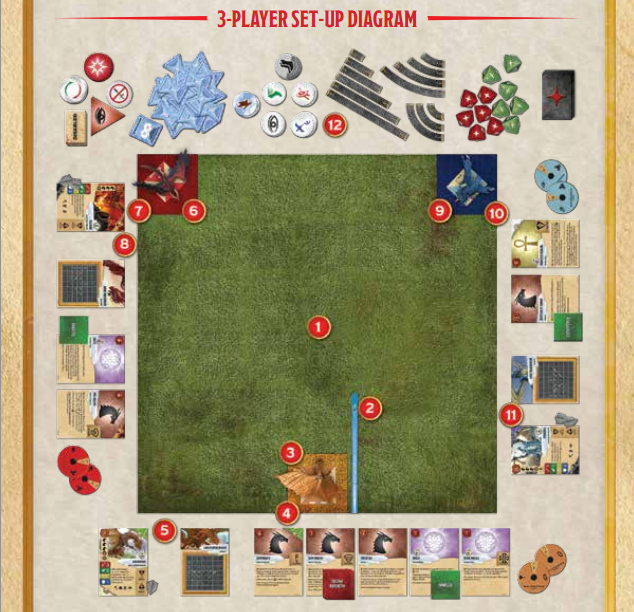 I will say, one thing that made me sit up a little in my chair was that the rulebook had a setup for a 3-player match. It's funny- I've never really wished for additional Factions in X-Wing, simply because while there have been third parties that could conceivably be added like Pirates or Smugglers or the Yuzong Vohn or whatever, I just always think of Star Wars as being the Empire and the Rebels, y'know? 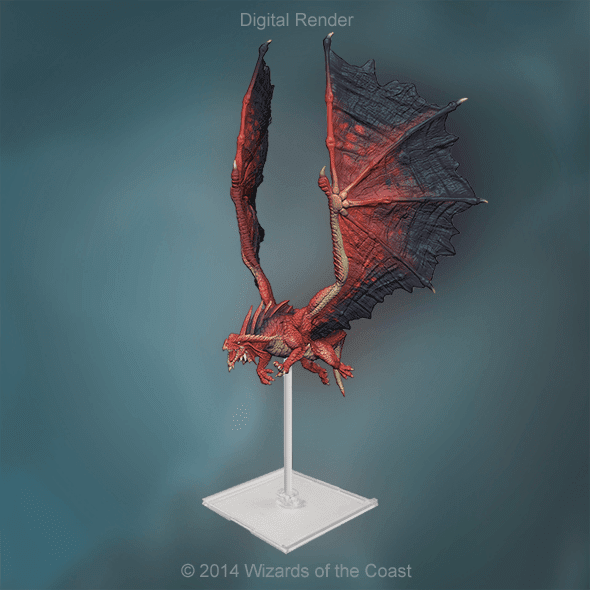 But with Attack Wing, a third faction is just another dragon flying around or whatever, so it totally works in my mind. Thumbing through the rest of the PDF, anyone who is at all familiar with X-Wing Miniatures will find a lot of common ground- maneuvers have a kind of Stress mechanic, there's an Activation Phase, etc., but everything has enough of a twist on it that I think it keeps the game from being too similar, although again- some folks will complain it's just a re-skin of X-Wing Miniatures, and truth be told, they're pretty much exactly right. There are some new tricks here and there, but they're all bolted on to a very familiar chassis. I guess what I'm saying is, if FFG released X-Wing Miniatures 2.0 and wanted to build in a little more depth, like say for example with mechanics where you can manage power to shields, engine, and guns, or get more detailed weapon effects so that Ion Weapons work more like they did in X-Wing for PC, you'd probably end up with something very close to Dungeons and Dragons Attack Wing, just with different names for things. And although some folks would hate it if it shows up in X-Wing, there are rules for ground units in Attack Wing. Texting with BC and Sean after the Armada reveal Friday, BC wondered aloud how/ if X-Wing Miniatures would continue to be supported model-wise. My answer at the time was "New movies." I mean, we already have seen the leaked/ released pictures of that X-Wing with the weird engines or the Headhunter with four guns, depending on what you think you're looking at, but after all this, I wonder if AT-ATs and Shield Generators could be in our future at some point? 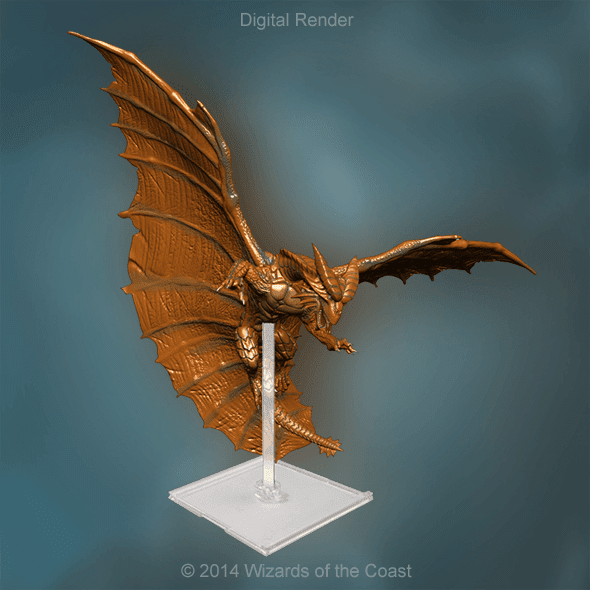 Did I mention that Attack Wing has an Altitude mechanic?